In 1892, Lawrence C. Chadwick, the President of the International Tract Society and a SDA shared the 3 Angels Message with a local preacher, Mr Coker, and later appealed for the General Conference of Seventh-day Adventists to send a missionary. In 1905, Mr. and Mrs. J. M. Hyatt, a African American lay couple working in Ghana, moved to Sierra Leone to lay the foundation for the work. Hyatt, an African American Seventh-day Adventist dentist, held prayer and Bible studies in their home to establish an Adventist presense. David C. Babcock and wife were sent by the G.C. 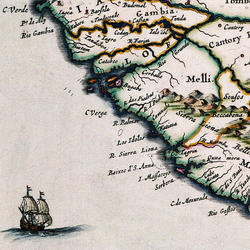 to Sierra Leone to officially establish the church's work. Babcock and his wife soon constructed a church building and established a sanitarium and school. In 1906, W.H. Lewis and wife, American missionaries, opened a day school. When Thomas M. French arrived in 1907 Adventist evangelists moved both north and south. R.P. Dauphin, one the first African converts in Sierra Leone, began working in Matatoka while I.W. Harding went to Gbangbama. Shortly after the Sierra Leone Mission was organized in 1913, it became an important source for denominational workers in West Africa. Dauphin, for example, helped introduce Adventism into Nigeria in 1914. 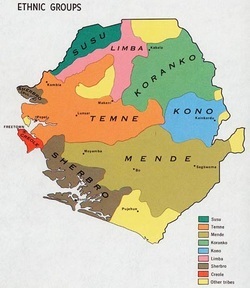 In 1918, the work in West Africa was organized with headquarters in Waterloo, Sierra Leone. L. F. Langford was made the General Superintendent of the work in West Africa. On 7th May 1921, J. K. Garbrah of Shama, became the first Ghanaian minister of the Gospel to be ordained into the Gospel Ministry of the Seventh-day Adventist Church. This took place in Waterloo, Sierra Leone at a General Conference session. Subsequently, Peninsula Secondary School in Waterloo (Western Area) and in 1965 Yele Secondary School (North) and Milton Comprehensive Secondary School in Bo (Southeast) were established. After Word War II disrupted Adventist efforts in the country-the military took over the training school, among other things-the church moved its mission headquarters from Waterloo to Bo, where it established a secondary school in 1961. In 1965 it organized another secondary school at Magburaka and began operating the Masanga Leprosy Hospital under contract with the government. In 1965 Masanga Leprosy Hospital with 140 beds was established in cooperation with government Health officials. Patients were all given outpatient and vocational skills training. The initial emphasis was on the treatment of leprosy. It developed into a 200 bed primary health hospital treating other more common illnesses, such as River Blindness, Tuberculosis and Polio. In the early 1970s Voice of Prophecy and Faith for Today began broadcasts over radio and television by African American Evangelist, Walton Whaley . Throughout the long and violent civil war that vandalized the country from 1991 to 2002, Masanga Leprosy Hospital was seized by the notorious rebels. When they left they destroyed a large part of the hospital. Patients and staff were displaced.The Adventist movement withdrew during the war and it was not possible to re-establish the hospital following the peace agreement in 2001. The local Mission Administration in cooperation with the West African Union Mission built and opened the totally church owned Adventist Health System on church land in Waterloo. Dr. and Mrs. Rosten from Argentina were instrumental in organizing the Hospital and Dr. and Mrs. Robero from Peru, with the help of Mercy Ships, added and equipped a wing and built hostels for visiting student missionaries. 2008 the West and Northeast was divided consistent with the distinctive ethnic corresponding diversity of needs in administering the work. incomplete Building site on Sanders in Freetown to house admin offices, AWR, distance Learning for training of workers, ABC, Health Education and Technology Education.